The entire company fully believes in quality. Quality should reflect everything we do and everything we provide to our customers. Lagermetall are certified for quality and environmental acc. to ISO standard. To establish an awareness and implement quality in our everyday thinking, we work actively through the “slogan” LSF to continously improve ourselves, our products and services. 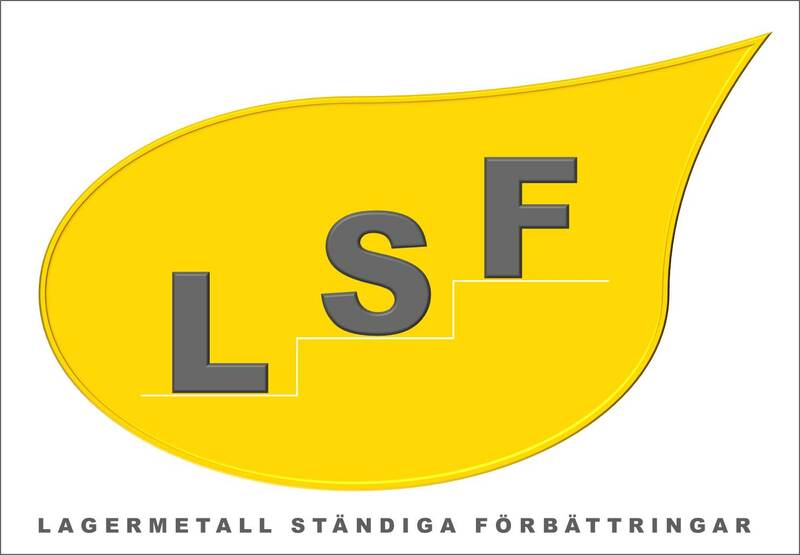 LSF stands for “Lagermetall Continuous Improvements” (in Swedish, Lagermetall’s Ständiga Förbättringar). Through listening to our clients, monitor statistics and constantly improve ourselves, we create a platform for meeting our customers’ requirements now and in the future to come. It should be safe to be a customer of Lagermetall. We achieve this by keeping our promises and set high standards for ourselves, our products and partners. We truly want to be the customer’s first choice. Here below are some other important documents about our position regarding quality assurance and environmental work related to our business.